10-Lb Soft Weighted Ball Just $8.99! Down From $20! 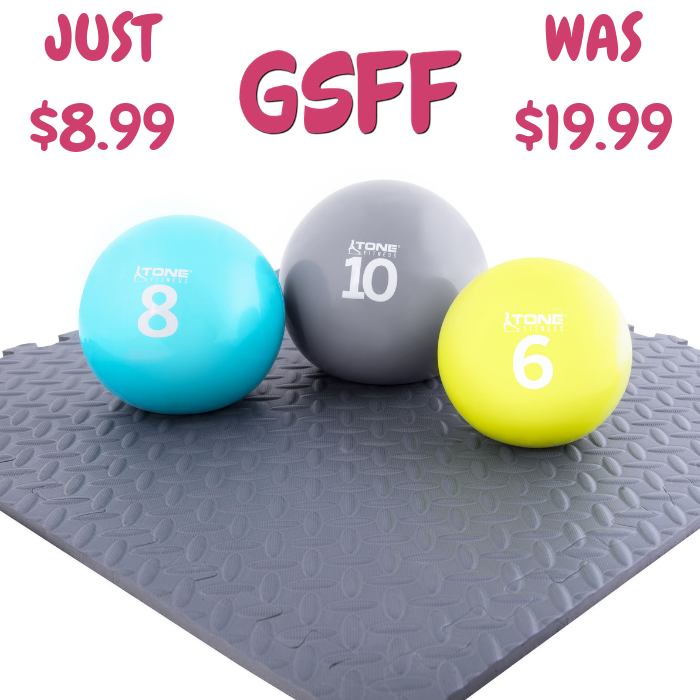 Walmart is currently offering this 10-Lb Soft Weighted Ball for just $8.99 down from $19.99 PLUS FREE store pick up or FREE shipping for orders $35 or more! The Tone Fitness Weighted Balls allow for greater versatility and range of motion. Using weighted balls will help you improve your strength, build balance, improve hand-eye coordination and add some variation to your workout. Try adding a soft weighted toning ball while doing squats, sit-ups or push-up’s, they will help you advance without the worry of dropping a metal plate on yourself.